Vision X The Panini Vision X is the next generation check scanning platform designed specifically for distributed check capture. The TellerScan 240 is the 5th generation batch fed scanner from Digital Check. 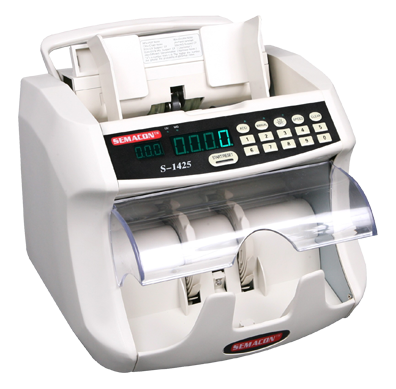 Built on the successful legacy of the TS230 line of scanners, the TS240 incorporates the features for which banks are looking in a check scanner: fast to deploy, easy to install, easy to support, and a fool proof design. Banksystems made purchasing scanners, for our bank branches and merchant customers, an easy decision! Their vast knowledge of the industry, mixed with their unbeatable pricing, made the whole process a pleasant experience. Banksystems Marketing is the premier provider of secure payment technology – read this before you buy check scanners! Our check scanners and secure payment technology help customers take advantage of the many benefits available with the electronic transformation of your financial transactions. With a large selection of digital scanner products from the best brands in the business – including Digital Check, Panini, NCR, Canon, and Unisys check scanners. As the premier supplier in digital payment technology, we’re dedicated to providing our customers with nothing but the best. From distributed check capture to ID card reading to full page scanning, when you order from Banksystems Marketing, your money stays in your hands. For over 30 years, Banksystems Marketing has been buying, selling, financing and servicing the top brand products in the check scanner industry. With our comprehensive selection of financial products, including scanners, coin equipment, currency equipment, teller printers, joggers and table top encoders, your business will never have to worry about a delay in funds received or a fraudulent check. We provide complete fulfillment services for those financial institutions that need a centralized location to oversee their merchant capture deployment needs. Located in Minnesota, our employees and senior management team worked in the industry for a lengthy period before venturing off to start Banksystems Marketing. We have extensive experience with digital financial equipment, ready to assist you with any questions you may have as you go through the buying process. We’ve installed systems in more than 2500 financial institutions throughout the world – if you’re looking for a team that can solve complex financial problems, we’re the team to turn to. A global leader in check scanner solutions, Panini help their customers fully realize the benefits of secure digital payment technology. It’s their goal to create scalable check capture products that solve a wide range of processing problems, from teller capture to remote deposit and back-counter. With a strong portfolio of digital check scanner products, they’re known to deliver high performance in the areas of image quality, MICR reading, document handling and printed endorsement. Digital Check entered the scanner market early in 1995, going to market with an IBM-backed product, the BUIC 1000. Last year, the company required another industry leader, Burrough’s SmartSource division, which produces financial hardware, putting them in a good position to take on complex challenges of today’s financial institutions. The addition of SmartSource’s talented product, engineering, and sales talent brings a large amount of industry experience to the Digital Check brand. As financial transactions continue to evolve, Digital Check has evolved alongside them, bringing new products to the ongoing transformation of payment technology. Burroughs has been building and supplying financial equipment since the 1940s, even leading researchers and regulators on the specification requirements for the first magnetic MICR printing used on checks. When their SmartSource division was acquired in 2016 by Digital Check, two of the largest names came together to produce never-before-seen technology. Canon is a global leader in technological innovations – and their check scanners are proof. 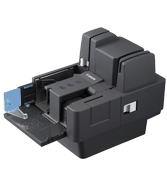 Offering a wide variety of single, small and full feed scanners, Canon’s product lineup is an impressive one. For over 60 years, Cannon has provided consumer, business-to-business and industrial digital imaging solutions to consumers all around the world. In today’s world, companies are always looking to hop on-board the latest technology trend to streamline their operations and increase worker productivity. A check scanner will allow you to do exactly that by removing manual processing tasks, allowing you to scan dozens or even hundreds of checks in just a short time. Processing checks manually is as tedious as it is time-consuming. The time it takes to photocopy financial documents, input the data, physically storing, organizing and accessing that information at a later date, waiting in line at the bank and waiting for funds to clear – it all adds up to wasted resources. If you want to boost your productivity, purchasing a check scanner is a good first step. Whether you’re a bank manager that processes hundreds of checks a day or an apartment manager that process a few dozen a month, every business can benefit from the time-saving benefits of a check scanner. With remote deposits, you won’t have to make a daily trip to the bank to deposit your checks anymore. All you have to do is scan the document through the scanner and it’s digitally transferred to your financial account. In less than a minute, your money will be verified and accessible. Remote deposit ensures that your transaction is quick, simple, convenient and secure. All you need to do is collect the checks and send them off! When paper checks are transformed into digital transactions, they pass through fewer hands and are cross-referenced against fraud databases, lower your risk of being scammed. Digital check scanners turn your checks into e-payments that are verified for authentication. This process analyzes digital signatures and public key cryptography to ensure the person is authorized to access funds from that account. Another added benefit of check scanners it the encryption capabilities, which keep your deposits safe from hackers. Businesses are constantly trying to reduce overhead and cut costs in any way that makes sense. With a digital scanner, you won’t need to use as many resources processing time-consuming transactions, making it more affordable for you to accept checks as payment. When you can process dozens of checks within a matter of minutes, costs across the board will drop. From labor to storage to human error, there are too many risks to your budget when it comes to processing checks. A check scanner will ensure that your transactions are completed quickly and accurately. 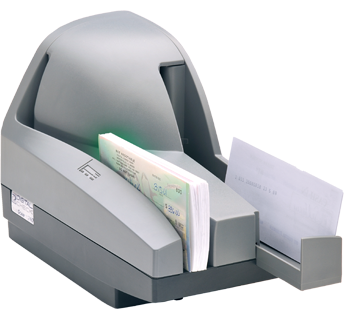 For easy access and management of your data, a check scanner uses magnetic ink character recognition to instantly scan and store a check’s data. All of this information is aggregated in a database, which you can access with a few clicks of your mouse. Get rid of those clunky, oversized filing cabinets – all you have to do is search for a client’s check in the database to access their information and that’s it. We get it – with all of the different check scanner models, features and specifications, it can be tough to pinpoint the perfect one for your business. If you’ve got more questions about check scanner products, take a look at the frequently asked questions below. Or, just reach out to us and we’ll answer any questions you have! What various feeder options are available? When you use a single feed scanner, it will scan a single check at a time as the user feeds the check in by hand. A multi-feed scanner has the capability to handle a large amount of checks at once and run continuously until the feeder runs out. Not all scanners are supported by the specific financial software that you use. In order to determine the best scanner for your business, contact your software provider and ask them which scanner models are supported. What is the difference between a Panini 1F, SF, FF? 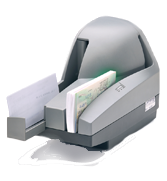 Panini is one of the most popular check scanner brands in the industry. Three of their top check scanner models are 1F, SF and FF. Here’s a breakdown of what makes each model unique. The Panini 1F is a single-feed scanner. The user will have to manually feed in checks one-by-one. 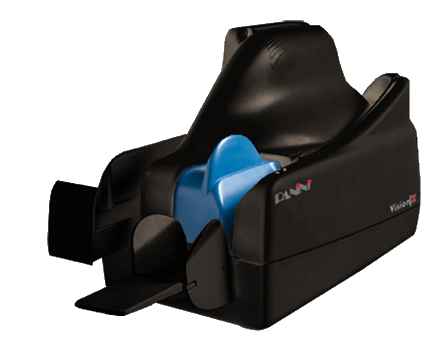 The Panini SF is a small-feed scanner, allowing the user to scan up to 50 checks continuously. Once the checks have been scanned and the feed is empty, another 50 checks can be loaded. The Panini FF is a full-feed scanner, where the user can feed as many checks that the scanner will hold. Just hit the start button and the scanner will continuously run through the checks until the feeder is empty. The Inkjet feature is required by the majority of software companies. This feature prints crucial information, like an identification number provided by the software, on the backside of the check. This provides an extra layer of security for your financial transactions. Why are there so many speeds? Businesses that process a large volume of checks a day, such as a bank or property management company, may want to implement a high-speed scanning system to improve their check processing efficiency. Small businesses that handle a few checks a week may be better suited to purchase a low-speed or single-feed scanner. Are cleaning kits and replacement rollers necessary? We see this problem all the type – malfunctioning scanners or feeders. Fortunately, this is easily preventable. We recommend using a scanner cover to keep out stray dust particles, as well as using cleaning cards to clean out track debris. Whether you’re looking for a single, small or full feed scanner, Banksystem marketing will pair you with a product that will improve business processes and reduce costs. As the leading supplier in secure payment equipment, we’re committed to providing each of our customers with nothing but the best check scanner products. Offering products from the leading brands, including Digital Check, Panini, Burroughs and Cannon, our shelves are stocked with plenty of options to pick from. Browse our website to view our check scanners and financial technology that will help you take advantage of digital payments.